Body Detox: A Fact or a Myth? As explained on Be Well, detoxification or detox is a natural bodily process that serves to neutralize, change, or eliminate unnecessary substances and toxins. This is one of the body’s basic functions and it interacts with many other functions too. These detoxification processes can be enhanced by reducing the toxins we expose our bodies to, according to alternative medicine proponents, and by supplying them with the necessary nutrients via a healthy diet. Regarding external hygiene, this is something we are familiar with and practice it on a daily basis (brushing the teeth, bathing, etc. ); however, when it comes to internal cleansing of the organs, as noted on Be Well, we cannot always know how well a specific organ, for example, the liver, is working. The liver has various crucial tasks, including filtering toxins and bad bacteria and turning them into substances which can be further expelled by the kidneys and this definitely puts it at risk of poor functioning due to the excessive amount of toxins. Hence, the question which arises is whether we need externally-induced detoxification to better the inner cleansing systems of the body or not. According to E. Ernst, in alternative medicine, detoxification (also known as alternative detox) has a different meaning that the meaning it holds in mainstream healthcare (it refers to the withdrawal stage in drug-dependent patients) and it encompasses the use of alternative methods to remove toxins and chemical substances from the body of a healthy or unhealthy person whose body is being polluted from by-products of the immunity, environmental toxins, and from the consequences of unhealthy lifestyle habits like poor diet, smoking, and drinking. Ernst continues to explain that according to alternative medicine textbooks, as a result of the modern industrial societies we are living in, we are exposed to a higher amount of harmful substances like pesticides and heavy metals and a lot of them accumulate in tissues, bones, and fat and can trigger the occurrence of neurological disorders. Exercising, drinking fluids, taking herbs and supplements, as well as undergoing hydrotherapy are examples of detox therapies suggested by naturopaths. Ernst also suggests that more research is needed to determine if alternative detoxification is necessary as a therapy for everyone or only during extreme cases when one is actually poisoned by toxins, as well as data showing the success rate of alternative detox methods. Another debatable aspect of externally-induced detoxification is how many symptoms one should have in order to need a detox. If only one or two are sufficient for a specific type of detox therapy, approximately every patient consulting their physician would need a body cleanse. So, alternative detox remains a good line talk rather than science and people are often attracted to it because of its principles that appear to make sense and due to our deeply-rooted desire to cleanse ourselves, Ernst asserts. Ultimately, he goes on to say if toxins accumulate in a way the body is unable to expel them, one would definitely need a serious medical assistance or he/she would be dead. Otherwise, it is the kidneys, lungs, skin, and liver that do the job. What Is the Master Cleanse Detox? According to Always on Nutrition, in the sphere of alternative detox, the Master Cleanse Detox is one of the most popular cleansing regimens. It lasts for 10 days and one should replace the intake of meals throughout the day with lemonade made from clean water, lemon juice, cayenne pepper, and Maple syrup. During the diet, it is recommendable to consume one glass of sea salt water flush in the morning and a cup of mild laxative herbal tea in the evening to encourage proper and regular bowel movements. According to advocates of this detox, it has the capacity to purify the body from accumulated dangerous substances but to trigger weight loss as well. The 10-day fast helps you get the needed nutrients and calories from the lemonade, which you need to take at least 6 times on a daily basis. If you can, there is no issue in drinking more than 6 glasses (you can drink up to 12 glasses per day). For the preparation of the lemonade, you will need to mix 2 tbsp of lemon or lime juice, 2 tbsp of Maple Valley syrup, 1/10 tsp of cayenne pepper, 10 ounces of purified water. To make the salt water flush, you need to combine ¼ of lukewarm water and 2 flat teaspoons of non-iodized sea salt and drink it right after waking up. 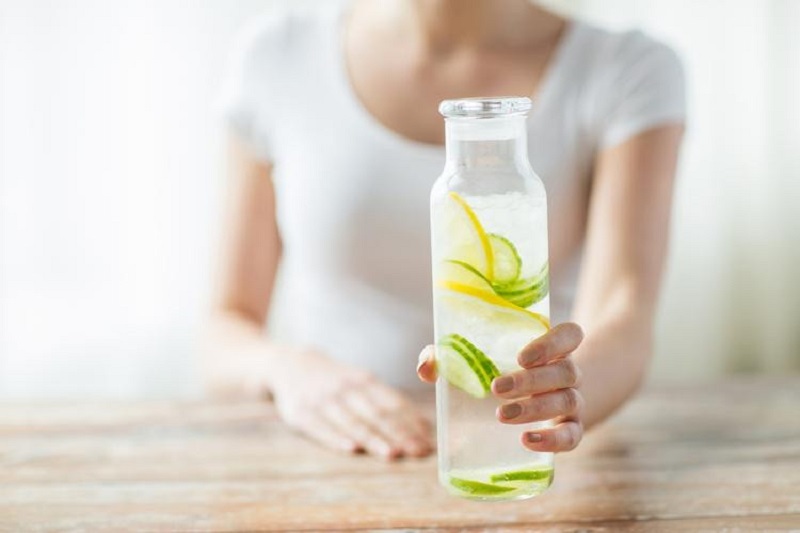 If you decide to go with this body detox method, it is vital to point out that you must not consume any other foods or drinks (besides plain water) during the 10 days and what’s more, if you happen to suffer from any condition, make sure to consult your physician prior to starting the detox. Without a doubt, alternative detoxes have been an important part of alternative medicine for decades and nowadays, naturopaths emphasize the increasing need of performing body cleanses because of toxins which pile up in our bodies as a result of our lifestyles and the polluted environment. Be that as it may, due to lack of firm scientific evidence of its effects, conventional medicine still considers this type of body detoxification nothing more than a fad created by entrepreneurs for profit.